Cleaners Services in London | Get 40% Discount Only Today! Here is Why Our Professional Team of Cleaners Can Save You Time, Stress and Hassle!! Have you ever wondered how you could save yourself lots of time, hassle, stress and maybe even money too?! Unlike other chores and tasks that you may have to complete in your personal and working environment, cleaning is something that must be done. If you forget to clean or simply abandon your cleaning duties you will find that your property becomes dirty, unhygienic and unhealthy. It is not nice or healthy to live or work in an area that is unclean and perhaps smells unpleasant too, which is why hiring a professional cleaning company such as Tidy Up could save you in more ways than one. Nobody likes people who are unclean, neither do people appreciate unclean, untidy and smelly environments to live and work in so make sure you get to the root of the problem now and solve your cleaning issues today! One quick and easy call to 020 3397 4918 is guaranteed to save you time on tackling your cleaning jobs, as well as saving you money too on buying in expensive cleaning tools and equipment too. If you are a business owner then it is important to keep you office or working environment clean and tidy otherwise you risk losing your employees, business partners and clients too. A good, clean commercial environment says a lot for your business and for you as the boss. Make sure that the cleanliness and aroma of your business space doesn’t let you and your company down when you can instead hire our professional cleaners to complete the task for you. We offer regular and inexpensive cleaning services to all of our clients, which will help to eliminate one stress off of your mind. Our team of cleaners will get the job done in a small amount of time and without causing you any disruptions or inconveniences whatsoever. A clean and presentable commercial space is the first and easiest way to instantly give your business a lift, so make sure that you don’t skip this easy tactic. A clean and fresh smelling home is equally as important, as nobody wants to live, sleep and eat in somewhere that has fell victim to dust, dirt, odours and stains. It is not always easy to reverse these adverse affects once the damage has been done, so if you don’t fancy tackling the job yourself which could mean spending out on professional and expensive cleaning equipment and supplies then hire our team of expert cleaners instead. Our professional and skilled cleaners can tackle and remove even the hardest of stains, odours and dirt so you won’t be disappointed with the results from our cleanings. 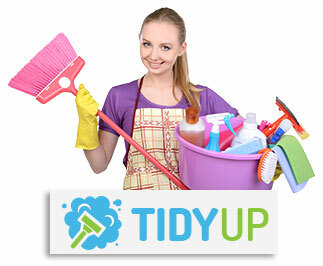 Tidy Up can provide you with noticeably better and cleaner results when we conduct any type of clean. Every one of our cleaners has years of experience in completing affective cleaning services and thanks to both our team of cleaners and our range of cleaning equipment, we are able to give every one of our clients outstanding and thorough cleans when we come to clean your property. For extreme cleans which will save you time and money, call us now on 020 3397 4918.